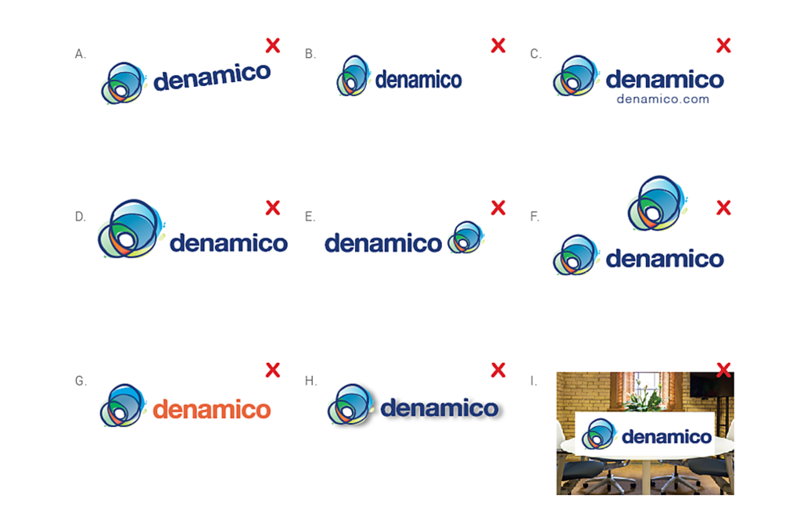 We’ve outlined the basics of our very own branding guide here at Denamico to help you with your own. Download the free checklist resource! What is a branding guide? You may have heard them called brand guidelines, style guides, brand manuals, and many other terms, but no matter what they’re called, they all essentially have the same purpose — ensure brand consistency of your content throughout all platforms no matter who created it. Creating a branding guide is only going to make your life easier. It contains the basic information needed to create any sort of branded collateral for your company. It’s also a great way to ensure that no matter where your brand is being represented, it’s being displayed cohesively and professionally, which in turn only helps your business’ reputation. 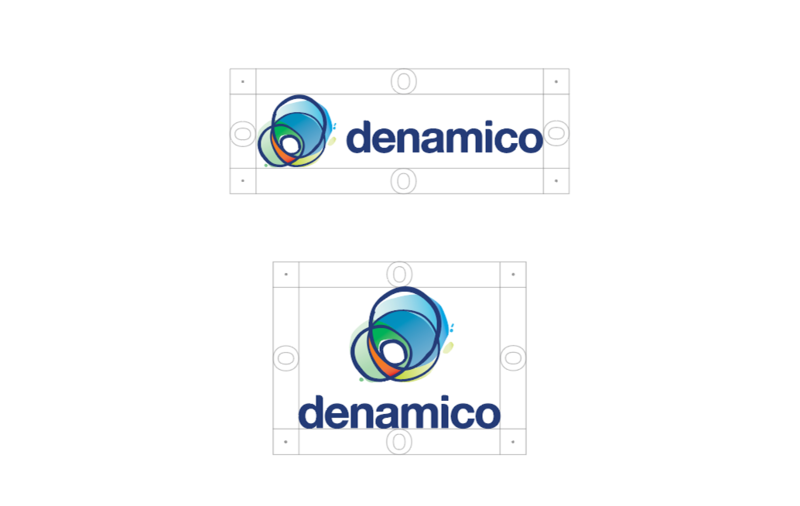 Deciding what to include in your branding guide can be tricky, so we’ve outlined the basics of our very own branding guide here at Denamico to help you get started. Your logo is a very critical part of your brand. In some cases, it solely represents your entire business, so making sure it’s properly used in every application is key to it’s success. When putting together your branding guide, you should dictate exactly how you would like your primary brand logo and any secondary logos to be used to ensure consistency. 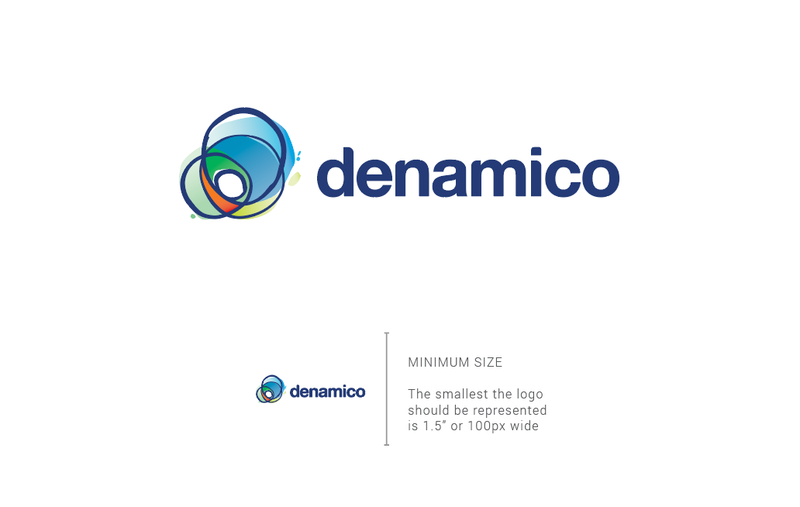 We suggest you start by highlighting the minimum size your logo is allowed to be displayed at. This can be done in both inches and pixels to cover both print and web mediums. Providing this information will help to avoid any illegibility of your logo. Setting your logo clear space is something that can be easily overlooked but it is extremely important. Having a rule that no text or image elements can come within a certain distance of your logo only helps your brand presence. Your logo needs to stand out on its own, and keeping distracting information away from it is important to its longevity. Proving rules of how not to use your logo is just as important. Having a page specific to unacceptable usage is a great way to display ways the logo should never be used. Things you could highlight are not to rotate the logo, stretch the logo, rearrange the logo, or add any text styles to the logo. The more information and examples you provide here the better. The last section you should cover regarding your brand logos is color usage. Having different solutions available for different situations will help answer any questions before they come up. The best way to address this is to show how your brand logo would look on a white, black, or colored background. Colors are a very universal thing, so when you only state you would prefer everyone use the color blue on brand documents, this can be perceived many different ways and before you know it your brand starts to look like a toddler went to town with a box of crayons. This is one of the many reasons why it is so important to give exact hex code colors, CMYK, and RGB values for every brand color. Each of these codes and values has a different purpose, and shifting from web colors to print colors can drastically affect your outcome, so be sure to use the correct color code for all formats. You can also go into more detail as to outline where each color should ideally be used as shown in the example below. If your brand has a large amount of colors to choose from, creating a visual color hierarchy could be helpful. 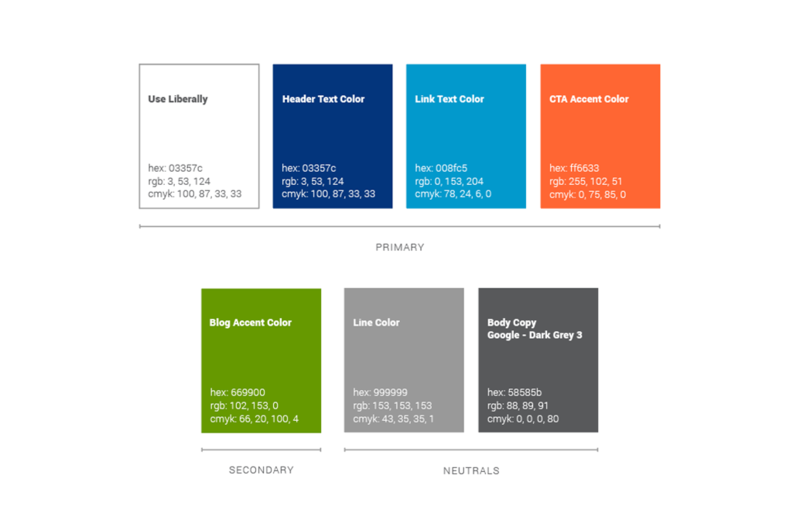 This tool will help you understand that when looking at any piece of brand collateral, the amount of colors used should match your brand color hierarchy. Using consistent fonts across all platforms is a simple way to make your brand look more professional. In most cases you will have more than one brand font, so the branding guide is the perfect place to outline which font should be used where. The basic things you will want to outline are your primary typeface, secondary typeface, the font weights to be used, and any rules you want to set regarding all caps, numbers, or font pairing. 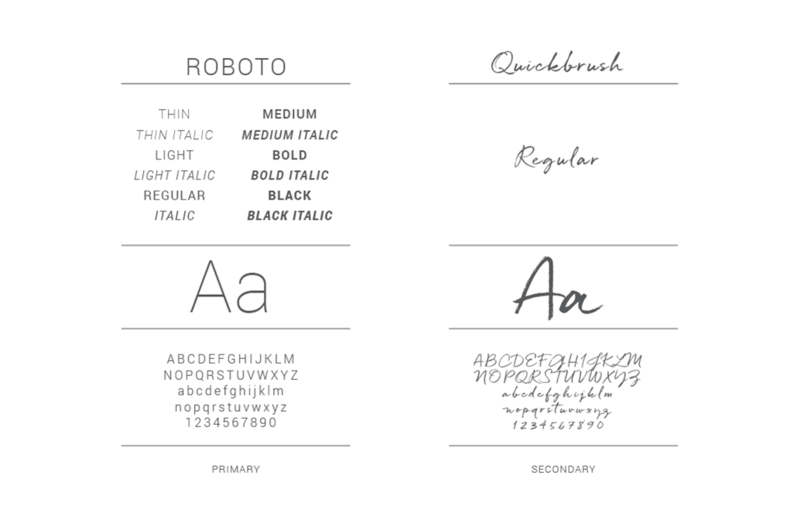 Another thing you will want to outline is your typeface usage. Setting specific rules in regards to type hierarchy can help everyone create unified, professional documents across all platforms. Below is an example of how to display this information in your branding guide. If your brand has any sort of decorative elements associated with it, this is a good place to set rules for using those elements. These could be anything from a branded watermark, specific line or border designs, and even illustrated patterns and iconography. Ensuring these are used consistently and on the correct documents is key to creating a unified presence. Imagery is an extremely important part of your brand presence. Selecting the wrong image can lead to someone perceiving your brand incorrectly, so setting rules and providing examples of correct brand imagery is important. To do this, you can put together a simple moodboard of images using similar colors, locations, and people to represent the feelings and emotions you are trying to evoke. Your brand voice is equally as important as your brand style. Just as you want to ensure your brand looks a certain way across all platforms, you also want to ensure it sounds the same. Providing descriptive words or phrases along with comparing what the voice is versus what it isn’t is a simple way to ensure a certain level of consistency. You may be thinking not all of these apply to your business, and that’s probably true. Every brand needs to document different information and at different levels of detail. Finding what works best for you and your business takes time and things will most likely change along the way. Branding guides are not set for life. You should always be flexible while creating them and be open to the possibility of annual updates. If you're feeling overwhelmed or unsure of where to start, don’t fret! To help ease the struggle of getting started, we’ve put together an easy-to-use checklist outlining everything we recommend you include in your branding guide.